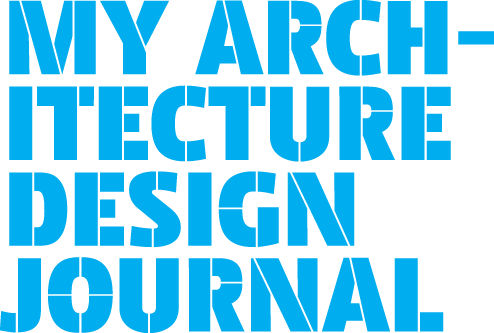 My Architecture Design Journal > Blog > How does Architecture Make you Feel? How does Architecture Make you Feel? 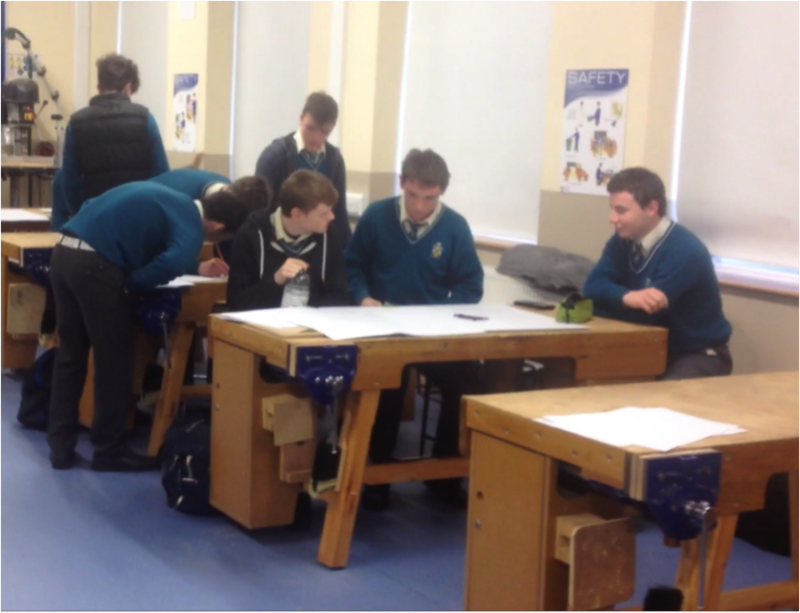 The students used the Irish Architecture Foundation’s ‘My Architecture Design Journal’ handbook to do an exercise with their teacher the week before I met them. They did the space study to illustrate a space they liked and had to explain why. By doing so it made them think about factors that can alter ones enjoyment of a space. In the end we were able to draw from this a list of common factors that play a role in why we like a space. The main ones were: temperature, safety, colour, light and furniture. They also could recognise some factors that created an unpleasant experience of a space. The students expressed that their school canteen felt too ‘cramped’ and they didn’t feel comfortable in the space. They wanted to create an area where they could chill out on their breaks and to create a space that was inviting, bright and spacious. By paying careful attention to the list they compiled on what makes us like a space, they used these as guidelines to design their ideal canteen. 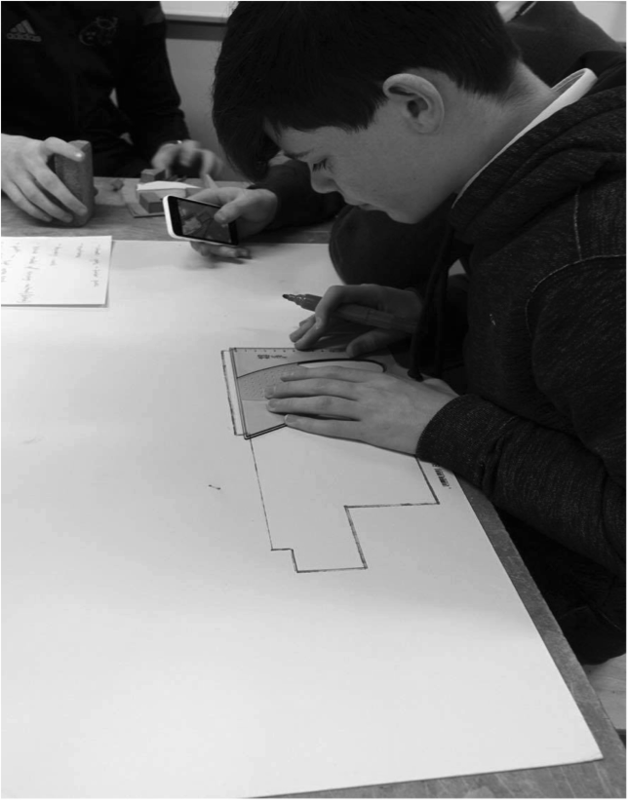 The students have been working through the methods of sketching, photography, hardline drawing, model making and computer modelling to carry out the task of designing their ideal canteen/ social area space. They will continue to work on this project as the programme progresses in 2017. Well done to all the students at Charleville CBS!